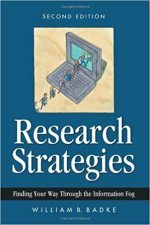 Real World Research Skills compiles basic advice, techniques, reference information, and resources to help working professionals find accurate information quickly. It is written particularly for those whose work involves tapping into federal government information. Recommended for library reference desks! The Training Edition of Real World Research Skills is included as part of the program materials in our public and custom Research Skills training. Buy all seven courses and save! 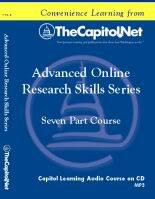 "Advanced Online Research Skills Series," a 7course Capitol Learning Audio Course on CD with Peggy Garvin. Total run time: 559 minutes. MP3 format. 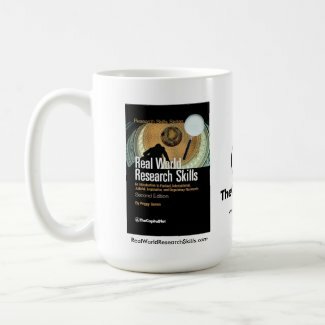 Includes course materials in PDF on CD, FREE copy of "Real World Research Skills Second Edition" and FREE shipping in the US. Special offer available on Audio CD only. Even in the 18th century, scholars realized it was not possible to know everything worth knowing; sometimes, we have to look it up. Fortunately for Dr. Johnson, he did not have to be familiar with so many sources and so many different techniques for finding information. He did, however, recognize the value of knowing where to find information. What today's Internet-enabled workers have discovered is that we also need to know how to search and how to evaluate what we find. The book began as a set of materials for TheCapitol.Net's seminar, "Research Tools and Techniques for Analysts: Refining Your Online and Offline Research." It is designed to be used as a complement to that seminar or independently as a desk reference. The final chapter, "Experts and Insiders," has tips for tapping into that vital Washington information resource: people. In our knowledge economy, more and more people-with a wide range of education and experience-are moving into jobs that require some information-gathering skills. The research training provided at many schools lays a foundation, but often does not prepare us for the varied demands of the working world. Each chapter has a chapter summary and review questions, making it easy to use in the classroom. 2.21 How Do You Learn about a Database's Content? 2.31 What Do You Need to Know before You Search? PEGGY GARVIN is an independent information consultant. Her company, Garvin Information Consulting, provides training, writing, and consulting to help professionals make the best use of the wealth of U.S. government information online. Peggy has worked with government information, libraries, and information technology over her twenty-year-plus career with the Library of Congress Congressional Research Service and in the private sector. She earned her Master of Library Science degree from Syracuse University. Peggy contributes to TheCapitol.Net's Congressional Deskbook and edits the annual reference book e-Government and Web Directory: U.S. Federal Government Online (Lanham, MD: Bernan Press). Her column, "The Government Domain," appears in the law and technology webzine, LLRX.com. She also writes a government information column for the magazine Searcher (Medford, NJ: Information Today, Inc.). 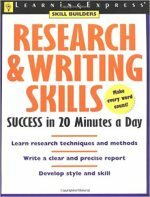 Have a suggestion for Real World Research Skills? If you have a suggestion for a change or addition to a future edition of Real World Research Skills, please contact us or complete our online suggestion form. 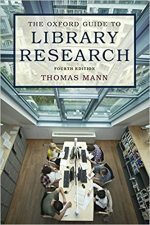 Find Real World Research Skills in a library near you. 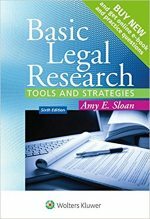 "It is a valuable tool for a wide variety of searchers interested in polishing their information gathering skills. Summing up: Recommended. All levels." "This gem is not too overwhelming for a novice, yet librarians and practitioners will also find it to be a very practical and valuable resource. It will prove its worth in gold at the reference desk." "Peggy Garvin is the 'go-to' Washington expert on how to effectively locate, evaluate and leverage information from federal and state government websites. 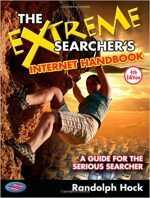 If you buy one book this year to assist you in researching on the web, make it this one!" "Real World Research Skills helps web searchers target their research to some of the most reliable information sources -- government statistics, reports and analysis. 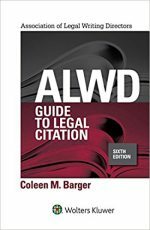 It's a great pathfinder through the thickets of federal and state government resources, written in a format that makes it an essential desk book for the serious researcher." -- Mary Ellen Bates, Bates Information Services Inc.
"This is an excellent basic resource for anyone in need of government information. It's very well-organized, with a good Scope note that clearly lays out the book's objectives. It includes important basics - how to think before you begin your research; how to work on unfamiliar topics; what to search and how to evaluate the results - which are not always included in books of this type. There's good advice on using advanced search options, understanding Boolean logic, and making a FOIA request, as well as a reminder that not everything is available online and print sources are still important. The layout is clear; charts and boxes make the information easy to find and use. The sections on state and international information are brief, but contain all the essentials. 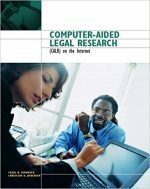 Though this book is aimed at those needing 'basic advice and techniques,' even experienced researchers can find a new resource or a bit of helpful advice. It will prove useful for information professionals, librarians, and anyone who needs to access government information." "Ms. Garvin's Real World Research Skills is a real find. As a professional researcher and professor, I found her book to be clear, concise, and supremely easy to use. Her examples of how to use the Internet to scour for accurate information on governmental sources are true gems. 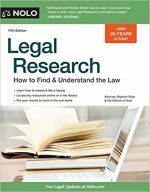 This handy little book will enhance the research skills of even old pros." "This gem will prove its worth in gold for those researching government topics." "While Real World Research Skills is a treasure trove of specific repositories and sites for information, of particular interest to me are the descriptions of the thought processes needed to obtain the information necessary for a research project. Also valuable is the discussion of the mindset needed when talking to an individual source, e.g., qualifying them as being a legitimate source, and making sure the researcher has a working knowledge of the issues so the source doesn't have to give a basic education. A valuable tool for high school and college students." 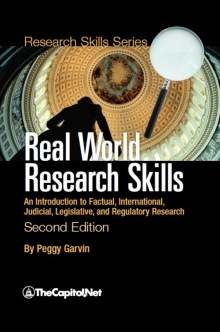 "[A] title well worth considering as a supplementary text for introductory legal research or advanced legal research courses is Peggy Garvin's Real World Research Skills, 2d ed., (Capitol Net, 2009). Gavin's work compiles basic advice, techniques, reference information, and resources to help working professionals."